The Association of Electoral Administrators (AEA) was founded in 1987 and is the professional body representing the interests of electoral administrators in the United Kingdom. It is a non-governmental and non-partisan body and has almost 2,000 members, the majority of whom are employed by local authorities to provide electoral registration and election services. 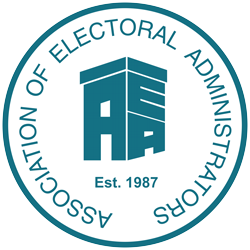 – Enhance and maintain the AEA’s reputation as the leading professional body for electoral administrators within the UK. As part of our ongoing commitment to assist the membership in the development of good practice in the registration of electors and the conduct of elections and provide timely advice, through appropriate means, to assist members in performing their professional role, we have developed our Health Check programme. This programme is designed for Electoral Registration and Returning Officers who want an independent and confidential assessment of their electoral services function. Using a blended approach, we will consider areas of good practice as well as offer constructive challenge. We will validate existing working practices and make recommendations for change. Each Health Check starts with a questionnaire designed to give us a comprehensive understanding of your electoral function and to allow you, as well as your team, the opportunity to critically assess where you believe you are. We will also ask for certain documents like your risk register, election and canvass projects plans and print contracts. This questionnaire will be followed up by a telephone conversation from your assigned assessor to discuss what you want to gain from the process. After this we will send through a proposed timetable for the day detailing who we wish to meet with and any additional documentation we would like to see. On the day of the assessment, our assessor will spend the day meeting with stakeholders the agreed objectives are the focus of discussions. After the assessment day, we will write a full report on where there are areas of good practice and make recommendations for change and areas of further development. If you would like to discuss the AEA performing a health check at your local authority, or have any questions regarding a health check that you have scheduled, please contact Laura Lock, AEA Deputy Chief Executive, on 01242 465063 or e-mail laura.lock@aea-elections.co.uk.